If you are searching for a fast, reliable and discreet mmj delivery service then you’ve found it. Metro Bloomin evolved from a small and relatively unknown business to a leading provider of comprehensive alternative medicine services in the city of Los Angeles. The evolution of the delivery has been driven by the commitment to innovation and dedication to every patient in need. 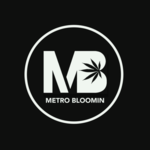 Metro Bloomin strives towards empowering the community in which it operates through compassion. The company is continuously searching for more opportunities to improve in providing care, treatment or services to the customers. On top of excellent delivery services and a great selection of medical cannabis goods, the delivery also utilizes a system of discounts and special offers for returning and first-time patients alike. So don’t forget to check out the deal of the day before checking out.